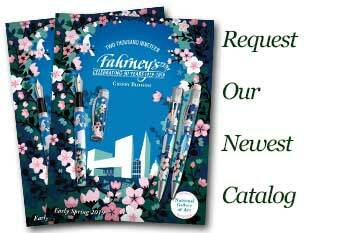 Order your Retro 51 Stealth Tornado Deluxe Rollerball today from FahrneysPens.com. Fine Pens, Refills & Luxurious Gifts – great prices & fast shipping. Let them know you mean business with the Retro 51 Stealth Tornado Deluxe Rollerball. With its matte black barrel and glossy black clip and trim, the Stealth rollerball won't go unnoticed. The retractable rollerball features a twist-top mechanism and a refill that won't dry out, even if you forget to retract the point. 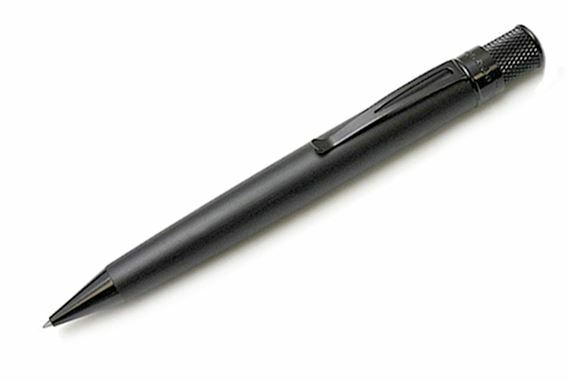 It can be switched to a ballpoint by replacing the rollerball with a ballpoint conversion refill (sold separately). A great choice for those who prefer understated style! Matching 1.15mm pencil and rollerball/pencil gift set also available.